Download all the songs from BINGOBONGO Rock Vol. 1 to use in the classroom, at home, or anytime you want to rock in English! 19 original songs and remakes of popular classics. Karaoke tracks also included for some songs. SKU: CD1-mp3 Categories: BINGOBONGO Rock Vol. 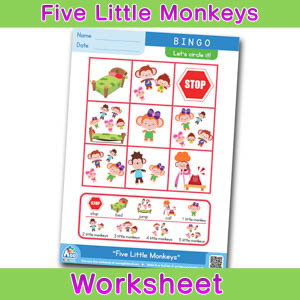 1, BINGOBONGO Songs, MP3 Tags: ABC to XYZ, ABC To XYZ (The Alphabet Song), BINGOBONGO Rock Vol.1, Five Little Monkeys, Frog On A Log, Hello Hello. How are you?, Hello Hello. What's Your Name?, How Is The Weather?, I Can Count, Seven Days In A Week, Step By Step, The Hokey Pokey Shake, The Janken Song, Twelve Months Of The Year, What Animals Do You Like?, What Do We Have? (The Monster Song), What Time Is It?, What's This? What's That?, Who Is The Leader?, Who's Here? BINGOBONGO Rock Volume 1 is a must-have for any teacher or parent who wants to teach English in a fun and effective way. 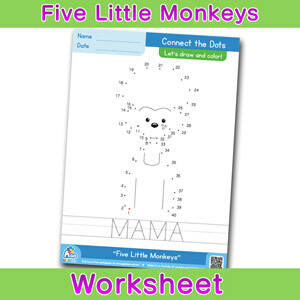 Kids will sing again and again, reinforcing the patterns found in these ESL kids songs. 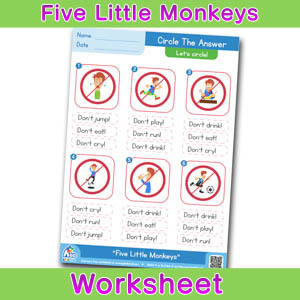 Flashcards and worksheets are also available to make a complete ESL curriculum. 2. Hello, Hello. How Are You? 5. Hello, Hello. What’s Your Name? 8. What’s This? What’s That? 12. What Animals Do You Like? 15. Twelve Months of the Year? 17. Who Is the Leader?